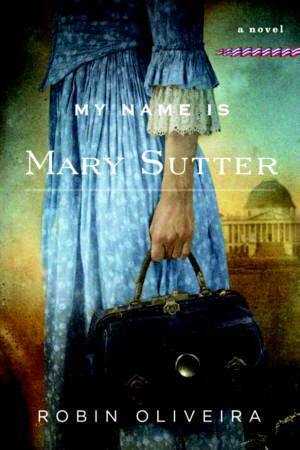 This list always has more series than new or standalone books, but I tried my best to mix it up. :) Here we go! 1. Vortex (Tempest #2) by Julie Cross (1/15/2013) – I was a huuuge Tempest fan, but I did read it a year and a half ago, so I’m REALLY excited to finally get to read the sequel. 2. Rise (Nightshade Prequel #2) by Andrea Cremer (1/8/13) – I really, really liked Rift and I love Andrea’s writing. Team Barrow!! 4. Clockwork Princess (The Infernal Devices #3) by Cassandra Clare (3/19/13) – OMGGGGG!! This book might just kill me. I can’t wait. Team Will! 5. Requiem (Delirium #3) by Lauren Oliver (3/5/13) – Oh, hey. Another book that is sure to make me physically ill. Just check out my reaction to Pandemonium… Bring it!! Team Alex! 6. 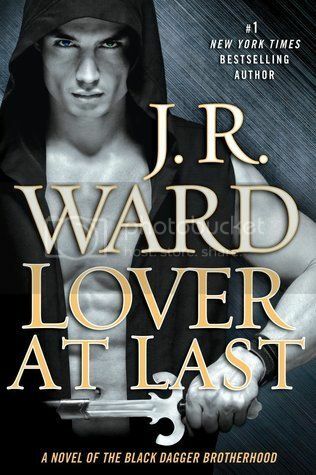 Lover At Last (Black Dagger Brotherhood #11) by J.R. Ward (3/26/13) – QHUAY!! AT LAAAAAAST!! We finally get their book and I am SO EXCITED! It’s going to tear my heart out, just wait and see. 7. This Is What Happy Looks Like by Jennifer E. Smith (4/2/13) – After loving Statistical Probability, how could I NOT have this on my list. Can’t wait! 8. 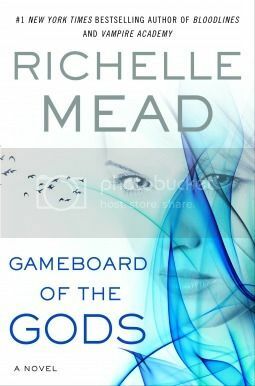 Gameboard of the Gods (Age of X #1) by Richelle Mead (6/4/13) – I was very sad when both of Richelle’s adult series came to an end, so I’m really looking forward to this. Like, A LOT! ALOTALOTALOT! 10. Isla and the Happily Ever After by Stephanie Perkins (5/7/13 – still not definite though) – Have you read the synopsis?! This book is going to wrap my heart in a snuggie and cuddle it for always. SIGH! I seriously can’t wait. I’m see Isla and the Happily Ever After on several (okay, almost all) lists–I can’t wait for it! I need that book, and I need more Etienne! Great list! Isla and Clockwork Princess are on my list too. This list was difficult, just because there are SO MANY! 2013 is going to be an amazing reading year. Must have them all! I agree with basically ALL of these. And YAY – Team Alex!! I sure hope I am not disappointed with that one. Can’t wait to meet Isla too. I picked Isla too. How could you not include it? LoveStephanie.! Ohh, the new Richelle Mead one sounds so interesting. It is definitely on my radar. I feel like you and I need to have our own book purchasing party of Clockwork Princess when it comes out. Gahhhh I can’t wait!!! Fantastic list. I have a lot of catching up to do with the JR Ward books. Oh Jess, be warned about REQUIEM. I just finished it and it ………. ( I wont spoil it). I love your list and that #6 is what I think Im pinning for the most in 2013!!! I’m so happy to hear that Jennifer Smith has a new book coming out! I also really loved Statistical Probability. Will have to check out the rest of your list… happy reading! I’m so happy someone else picked Lover at Last too. I LOVE the BDB series. Great list ma’am!! I completely agree with you on Andrea Creamer, Melissa de la Cruz, Jennifer E Smith and Stephanie Perkins! Awesome list! Can’t wait for Isla, Gameboard of the Gods, and Lover at Last! I cannot believe I left Vortex off of my list. Seriously, I loved Tempest as well and I can’t wait to see what happens next! Team ALEX!! – and isla! Can’t wait! isla finally has a synopsis? squee!!! and also, Clockwork Princess needs to be released NOW. Hello Lover at Last! I couldn’t be any more excited for this book!!! I feel like I’ve been waiting for Blay and Quhinn to get their HEA forever. I can’t wait to see them finally in love out in the open! Great list! I’ve got Clockwork Princess and This is what happy looks like on my list too. I’m really looking forward to reading Clockwork Princess, because I cannot wait to find out how it’s all going to end! YES YES! TEAM WILL for me too. This is What Happy Looks Like and Isla and the Happily Ever After for SURE. So many good ones on this list. Gameboard of the Gods looks excellent and I’m excited for Lover at Last (even though I’m not that far into the series yet :D) Great picks! Gameboard of the Gods sound so interesting! I can’t wait to try it out :) Great picks. Excited for Isla too! 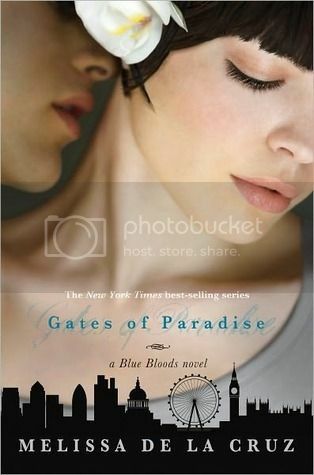 I haven’t read the Blue Bloods series in a long time (time to start catching up? )… I’m really excited for Just One Day by Gayle Forman. How did I forget Clockwork Princess?! Clockwork Princess is at the top of my list! I’m so excited to find out what happens! I’m chomping at the bit! And, I’m really looking forward to Isla too! YES to VORTEX and ISLA. I was probably embarrassingly fangirlish over TEMPEST but I couldn’t help it! I am definitely interested in a lot of these especially the Jennifer E Smith-looks like such a fun contemporary! I also can not wait for Requiem! Team Alex all the way!! HAHAHA OH HELLO THERE LOVER AT LAST. I’m highly anticipating you as well. I’ve only read one of the BDB books but I’m still excited for Love at Last release. EVERYBODY wants it and that energy is just contagious! I have a feeling Requiem may have that effect on a lot of people! Lover at Last- OHHHHHH yessssss. Although I am not your number one Qhuay fan. I love them both separately. I am looking forward to their HEA.